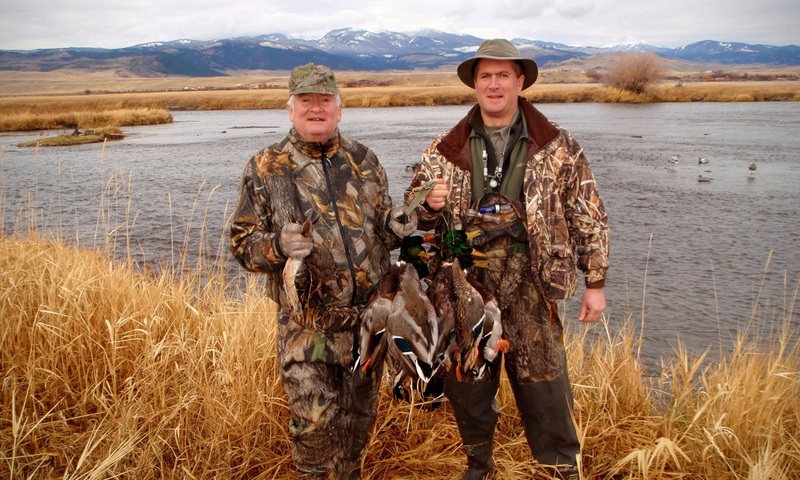 Besides our Montana upland bird hunts, we offer waterfowl hunts for ducks and geese, fly-fishing for trout, and spring / fall turkey hunts. You can do these as separate trips or combine them. Some folks book their trips on either side of their upland hunt or combine fishing with waterfowl hunting and turkey hunting. ​You may also book these trips inclusive with or exclusive of an upland bird hunt. Please see links for more information. For our cast & blast trips we use drift boats on the Madison, Jefferson, Missouri and Yellowstone Rivers. Montana has world famous brown, rainbow and cutthroat trout fly-fishing. After you bag your turkey you can trout fish on the Boulder or Yellowstone Rivers.